My experience with Ross Hardy was an excellent one! Dealing with Ross Hardy was a pleasure. Dealing with Ross Hardy was a pleasure. Ross was attentive, honest and at all times professional. His support team also met his high standards. I would recommend Ross to anyone whom needs a realtor. Highest recommendation for The Hardy Team! Ross is professional, efficient and very trustworthy. I am very glad I chose Ross to sell my home. In today's challenging and competitive real estate market, it's imperative to have an agent who is the most knowledgeable market specialist. Ross gave my home the best exposure with the latest marketing tools which I truly believe resulted in more showings and a quicker sale. His outstanding professionalism along with his great team/staff support, the process was less stressful from start to finish. It was a pleasure working together and I highly recommend Ross Hardy with The Hardy Team to anyone for all their real estate needs. My experience with Ross Hardy was an excellent one! He made the process of selling my home as easy as possible. I found him to be very honest and no nonsense. He was extremely knowledgeable in every aspect of the process. Very professional. He kept me up to date and responded immediately to any inquiry I had. I plan on recommending Mr. Hardy to anyone I find in need of a realtor! I recently the pleasure of working with Ross Hardy and his team in selling my house in Spring Hill. I had had a previous experience with another agent and agency that was less than positive and was a little apprehensive about listing again but from my first meeting with Ross, I was immediately impressed not only with his professionalism and knowledge, but also friendly personality and his positive attitude. He put me at ease right away, especially since I was selling a house and moving cross country a few weeks before Christmas.. He and his team kept me well informed during the whole process. Thanks to Ross Hardy and his extremely efficient team, I was able to sell my house and get to Colorado in time to spend Christmas with my family. I would definitely recommend Ross and his team to anyone who is looking to buy or sell. My wife and I moved from Michigan in December of 2013. Ross Hardy and Karen Hardy arranged for a lovely rental while we looked for a home to purchase. Ross Hardy and Alan Hardy teamed to show us many homes, often with short notice, until we found the home that we purchased in April 2014. They also helped arrange a lender and showed that I qualified for a VA loan. We are thrilled with the home, love the Silverthorne development, and would highly recommend The Hardy Team to anyone looking to rent or buy in Hernando County. We liked Ross' knowledge on short sales and the speed in which he not only listed the house, but showed the house and had TWO offers for the full asking price within days. Usually short sales drag on for 6 or months, but the team that Ross works with are experts in this process and everything went smoothly, quickly and effectively. From the day of listing until date of closing was less than 2 months. 5 stars all the way. 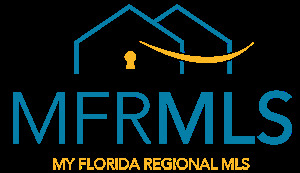 Honest, professional and as knowledgeable about real estate as they come. I've worked with many agents and Ross Hardy and his father are as good as they come. Aside from being excellent sales/business people, they are also very ethical and nice people. I would not hesitate to work with them again and would recommend them to anyone. We moved here 2-1/2 months ago from NC. Ross Hardy was fantastic he took his time and showed us what we wanted not like other agents that take you all over and show you what you don't want. He answered all our e-mails in a very timely manner we communicated thru e-mail and phone. He was right there any time I had a question or wanted info on a home I saw. He is very knowledgeable in his field and worked for us. He made our move a stress free one and we could not ask for a better realtor then Ross Hardy. If you are looking to move or purchase a home he is the agent to call if you want someone working for you. My Father & I have worked with Ross's Father in the past and know Ross through him. When I learned I needed to move from Vegas to FL the ONLY realtor I would EVER consider contacting is The Hardy Team. I am currently working with Ross (as my Father has been trying to tell me long distance as he looks at houses for me what I want and don't want w/o my input) and that's holding everything up; I would trust Ross to find me a home long distance in a heartbeat. He's local, has been for a very LONG time, very caring and responsible and an absolutely pleasure. I just SOLD a home in Pittsburgh - it took 7 yrs and 16 realtors - which ALL caused NIGHTMARES beyond belief - flooded the house, I had to shovel snow out of my house, had to remove vagrants who had moved in and the list goes on all while I'm 2300 miles away and the realtor was 100% responsible-36 trips back & forth to continue to clean up after the Pgh realtors-that would NEVER happen w/Ross. I trust him 100%. He's currently finding me a house while I'm 2300 miles away and I trust him that much! Highest recommendation for The Hardy Team! Ross is professional, efficient and very trustworthy. He is an incredibly hard worker, always accessible and an absolute pleasure to deal with. We have recommended Ross to everyone who is looking to buy or sell a home - and will continue to do so! He has our home listed and it has not yet sold but he is optimist and willing to work with us on all levels!! He is very knowledgeable about the area and what will sell and what won't. The market got soft recently due to a sinkhole in Spring Hill but he trying to advertise the home well. Learn more about The Hardy Team and meet the people that make your experience so great. Check out our story here.